Due to an unfortunate combination of a technical and a human error there was no Wednesday Weekly last week. Therefore especially Nahid's contribution reaches you one week later than planned, but has certainly not lost its actuality in the meantime. On Tuesday, 25 April 2017, 6-8 p.m. Dr. Klaas Dykmann (Roskilde University, Denmark) will present his book on "Global Civilizers? 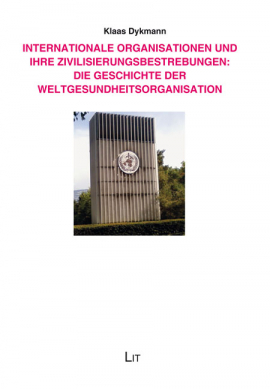 A Critical Look at the WHO and the History of International Organizations" at the Center for Area Studies (Thomaskirchhof 20, Leipzig). 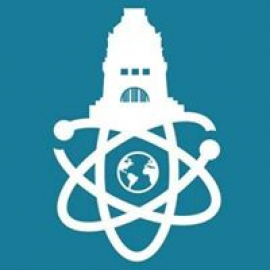 Leipzig University and many other research institutions in Leipzig officially support the March for Science with a joint statement. Markus Dressler will speak at the Science March Leipzig on Saturday, 22 April 2017 about the current situation in Turkey. Meeting point is the Naturkundemuseum (Museum of Natural History) at Lortzingstraße 3, Leipzig. 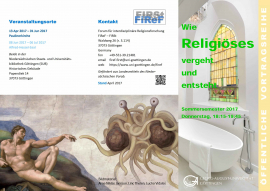 The Forum for Interdisciplinary Religious Studies (University of Göttingen) starts a public lecture series on "The Emergence and the Fading of the Religious (Wie Religiöses vergeht und entsteht)" on 20 April 2017. On 27 April Monika Wohlrab-Sahr will give a lecture on Secularity beyond the West ("Säkularität oder die Grenzen des Religiösen - beyond the West") as part of this series. All this is true, but in my opinion they do not put enough emphasis on the almost total failure of social and economic integration of Muslim populations. Many have been 'put away' in crowded public housing complexes in the suburbs, with bad schools, bad teachers, constant humiliating police raids, few job prospects for those who do manage to study, few vocational training possibilities, and general social discrimination. As a result, the largest prison population in France is Muslim. (It reminds me of the situation of black Americans.) If these young men and women had been educated and had job prospects, and saw themselves as accepted members of French society, would they be so vulnerable to violent and often suicidal ideologies and actions? ONLY ONE of the presidential candidates--one with no prospects for election--even mentioned the need to focus on the economic and social conditions in the isolated Muslim suburbs as one of the ways of combatting terrorism. Most of them talked about the need to create focusgroups, to increase the police and military in numbers and arms and to limit immigration! Anyway, as Germany grapples with new waves of immigration from Muslim countries and engages in policy discussions about integration, I thought that this French example would be useful to contemplate. By the way, thanks to the excellent report by Tarek and Sana, I recognized the name of the the keynote speaker at the conference in Switzerland--Imam Tareq Oubrou--who is quoted in this article. Best wishes to all for a lovely, happy, and productive spring.